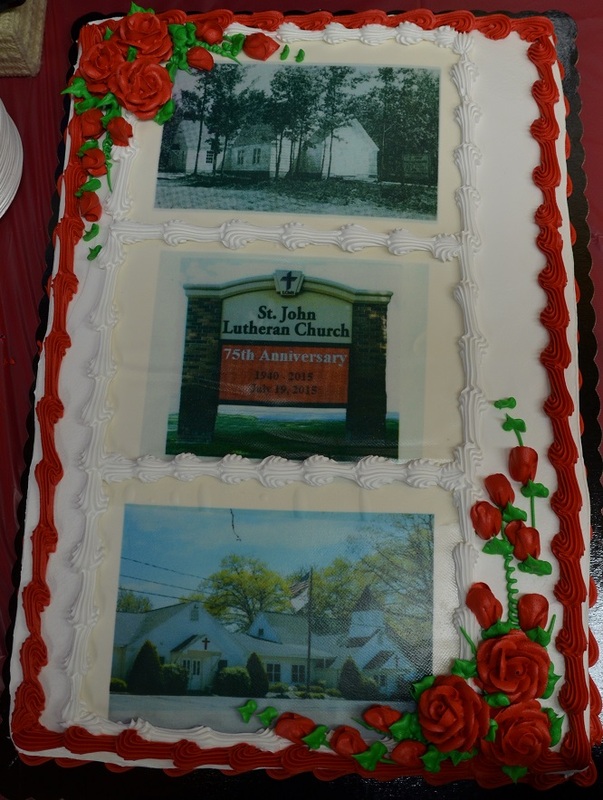 What a great celebration we had on Sunday, July 19, 2015, to give thanks to God for 75 years of grace, love, witness and the building of the kingdom here at St. John Lutheran Church, Houghton Lake … the “Chapel in the Woods. "Unless the LORD builds the house, those who build it labor in vain. Unless the LORD watches over the city, the watchman stays awake in vain." We give God thanks for what HE has done and not we ourselves. As God has called people to Himself, guided them through life, and brought many to faith here at St. John, we are reminded of God’s saving deeds toward all His sons and daughters. 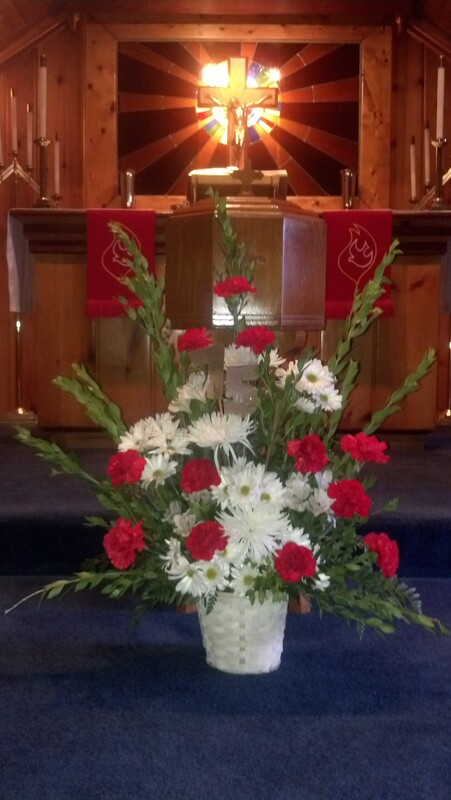 As we continue to worship in our unique chapel of knotty pine, cloth and stone, we thank and praise God for His abundant blessings and we look forward, with excitement, to the future, fulfilling the tasks that God has called us to do. With joy and thanksgiving let us continue to dedicate ourselves and this congregation to Almighty God and those who gave birth to this congregation, all who have served, who serve today and will serve in the future. Enjoy the pictures included in the August Newsletter and posted in the Photo Albums below! 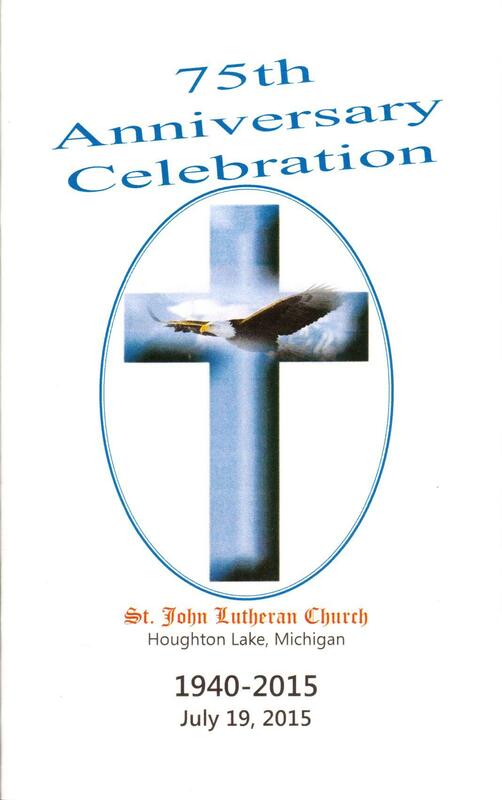 To view a Historical Power Point Presentation, click on the word "Celebration"
Houghton Lake Resorter, page C6.